Packaging: For components, packed in blister packing; for the whole set, packed in color box. 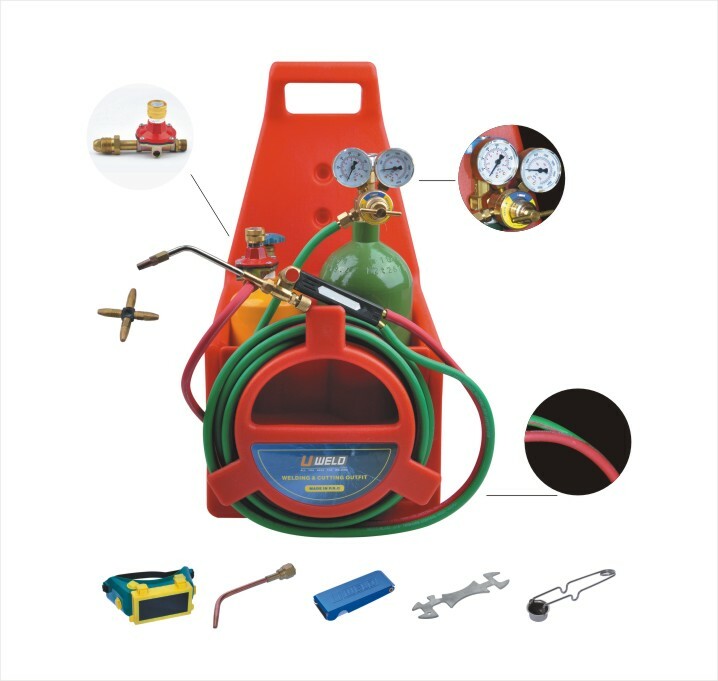 Gas Cutting & Welding Equipment complete gas-welding accessory kit includes a 4 liter oxygen tank and 2 liter acetylene tank with regulators, along with full brass torch assembly. Use this oxyacetylene torch for welding pipes and tubes, and other metal repair work. It's also used to fabricate metal artwork. Use it for iron or steel welding, plus brazing, braze-welding, cutting, bending and forming. 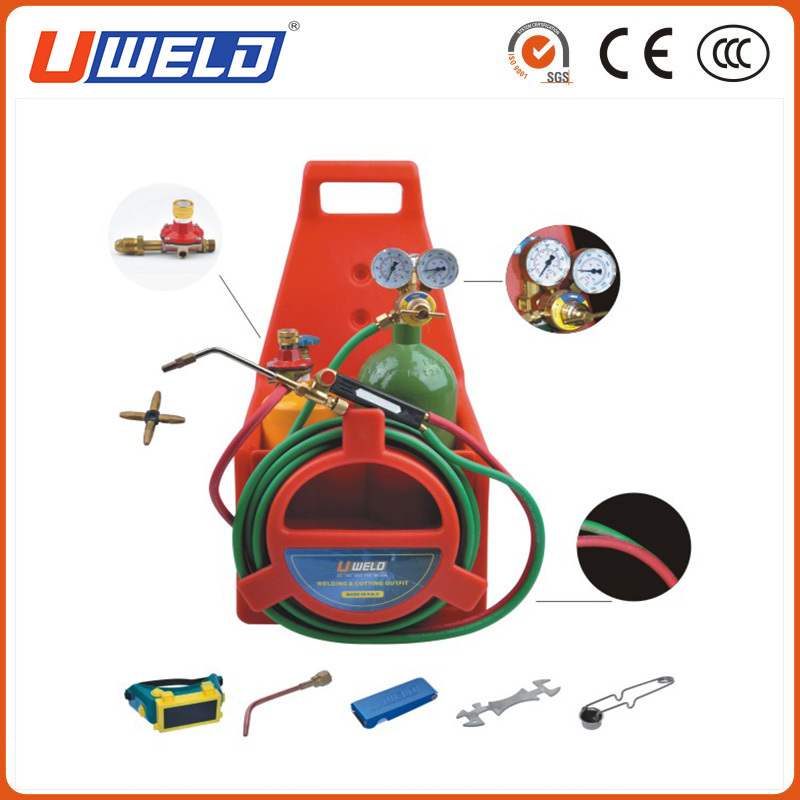 For Portable Gas Cutting Welding Kit, you can request the color of Gas Cylinder according to your country, either color will be supplied in high quality. If you order 1,000 pcs, we can use your own branding. 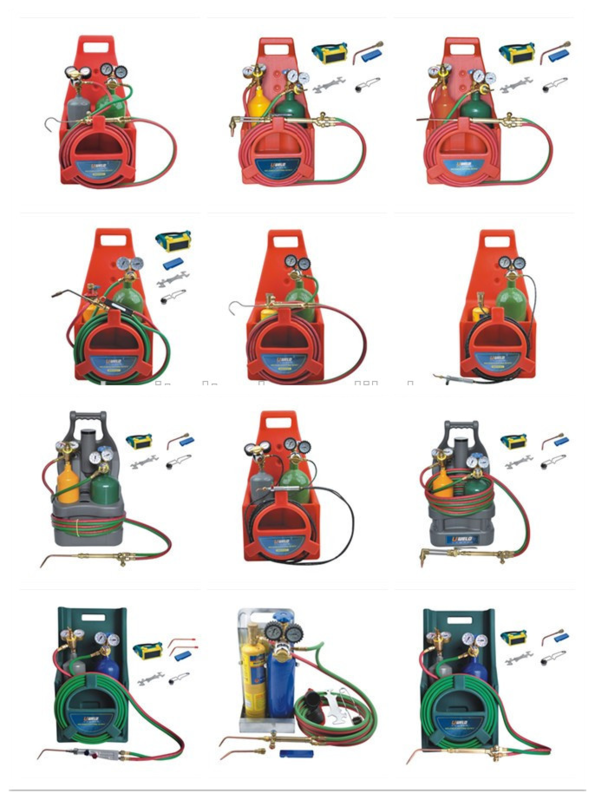 Looking for ideal Professional Tote Propane Welding Cutting Kit Manufacturer & supplier ? We have a wide selection at great prices to help you get creative. All the Oxygen Propane Welding Cutting Torch Kit are quality guaranteed. We are China Origin Factory of Professional Tote Oxygen Welding Cutting Kit. If you have any question, please feel free to contact us.